My passenger side panel has a little crack but is not visible yet, I'll have to fix it or replace it someday but was hoping to find something to texture it with. I think it looks good either way although with a black passenger side panel it looks out of place since nothing else is black in that area. 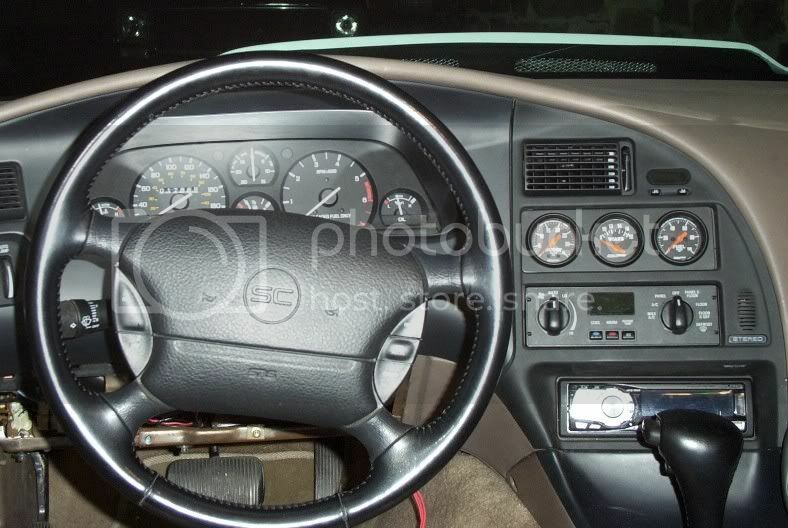 Here's my one an only pic of the interior. The seats aren't show on purpose. Split leather doesn't show well. Somebody tell me about the seats with the wings on the side bolsters. What year vehicle are they from and are they hard to come by? Anybody got an idea on a price? If you can't hear it before you see it...what's the point? and Cougars (with sports pkg?) always had them till 97, didn't they? Cougar seats are pretty awesome. I like them better than the SC seats. You don't have the bolster to deal with. The way I have to get in and out of the car, fold up my wheelchair and stick it behind the drivers seat the bolsters wouldn't last long. The back of the Cougar seat w/o bolsters is more contoured than the Tbird seat. The bottom looks the same but that can be fixed with foam. blue i love the interior on your car. everything matches and its all 1 color. looks sweet man =] very clean sir! So are you also painting the dash blue? 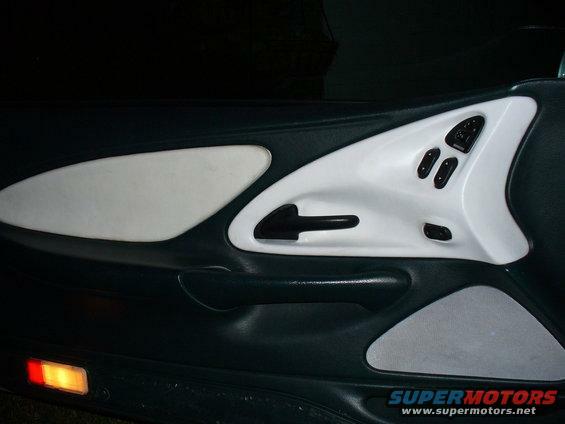 Just to reinforce what others are trying to tell you that panel is supposed to match the dash, otherwise it looks out of place. Yup If anything I'd do the dash/radio surrounds and console top the color of the dash itself and have the switch panels alone smooth and colored for symmetry. It'll actually look pretty unique like that too. That's cool, that's pretty much the case for everyone with a non stock car actually but seeing as this is a discussion forum, questionable changes are likely to be discussed. Some may find it's painted for the sake of being painted, some may not. It does look abit out of place. But different strokes for different folks. on my brothers 95, only thing we did was 96 hood and 96 bumper and 96 lights, and i believe he swapped fenders since his 95s were effd. did we miss anything? Those are early style SC seats. 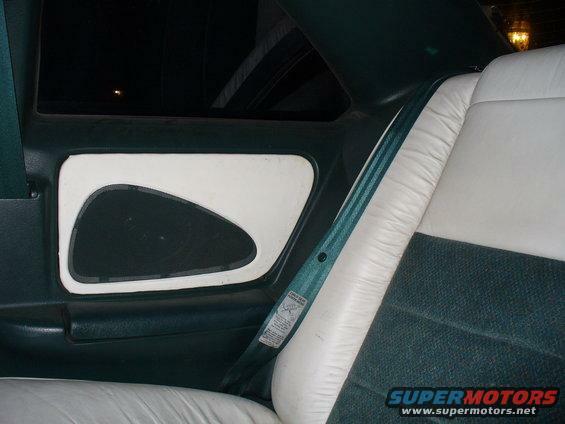 Also look for 89-90 XR7 seats - they're the same except for Cougar emblems instead of Thunderbird. Actually my tweed/leather seats were SC specific, 91-93 only. 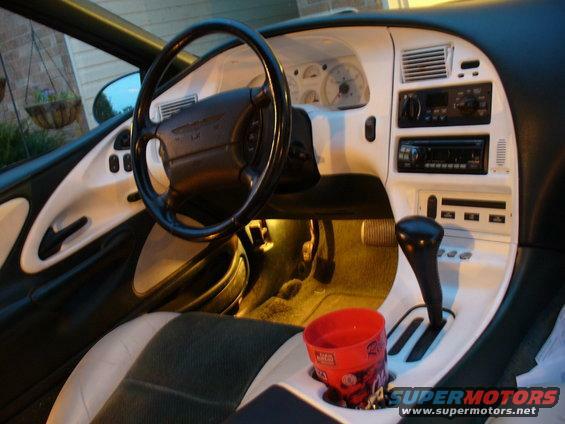 89/90 SC and XR7s used the same pattern as the leather seats only in plain cloth, no emblems. 91 XR7 base seats came in the same pattern as my seats but used plain cloth in place of the leather/vinyl and jersey in place of the tweed, they had XR7 embossed where the bird is. Yep I saw one of those in the junkyard recently I thought it looked pretty dam cool. If you had a cat to put em in. here's mine. not the best pics or the cleanest it's ever been, but you get the point. 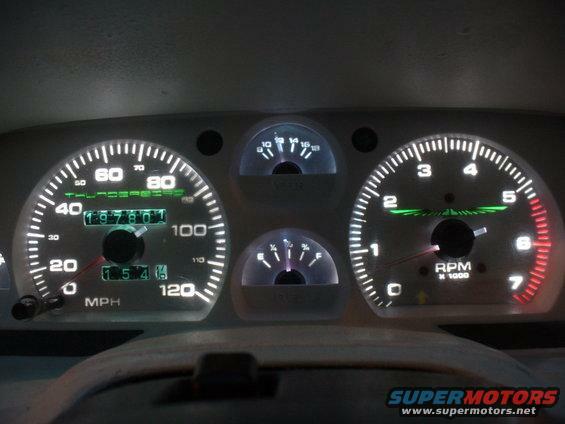 i want those gauges.. where can i get them? Just email Scott and he'll make them how ever you want them. I found a black set with a fold down rear seat, only reason I didn't grab them was the drivers seat was torn and the back seat bottom was MIA. Now that I look back on it I should have grabbed what I could. That rear seatback in itself may possibly be the rarest thing these cars ever had. Found a few pics of the base 91 XR7 seats. You can see the resemblance in patterns with my 91 SC seats. Last edited by XR7-4.6; 06-08-2011 at 04:32 PM.